The opening sequence tells us something of what to expect. A shootout takes place in the dark; guns spit fire, a barn catches alight and a horse gallops away, enveloped in flame. This, we learn, is the work of the Sisters Brothers, an ill-matched pair of paid killers under the orders of their boss, The Commodore (the briefest of cameos from Rutger Hauer). The date is 1851 in Oregon and the gold rush is underway. South African viewers should be familiar with some of French writer/director Jacques Audiard’s output, including his prison drama, The Prophet, as well as the Marion Cotillard vehicle, Rust and Bone. 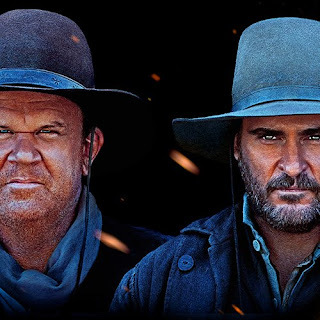 The Sisters Brothers is his first English-speaking movie, and, of course, his first Western. The brothers have to find a fellow by the name of Hermann Kermit Warm (Riz Ahmed), a chemist who has invented a (toxic) process for more easily identifying gold nuggets in rivers. The brothers have orders to extract the information about his formula by any means necessary and then “shut him down”. Warm is accompanied by another member of the Commodore’s gang, scout and diarist John Morris (Jake Gyllenhaal), who is not only attracted by Warm’s gold formula but also intrigued by his glowing fantasy about the future of humanity. Because of this, Morris has gone rogue, ignoring his orders and linking up with his erstwhile prey. Now the Sisters Brothers must find both of them. Audiard, who based his screenplay on Patrick deWitt’s novel of the same name, is less interested in the drama of the pursuit than the characters of the men involved and the transitionary nature of the world they inhabit. First among equals in this regard are the brothers themselves, Eli (John Reilly outstanding) and his younger brother Charlie (Joaquin Phoenix), who memorably bicker their way along the trail, barely able to agree on anything but somehow bound to each other and their mission. Charlie Sisters, who appears to be the leader of the group, is a hothead and a brute, as well as being a drunk who falls off his horse the morning after an alcoholic riot. Eli, the more reflective and vulnerable man, tests out a revolutionary toothbrush for the first time and dreams of running a store when his life as a killer is over, a prospect greeted with disdain by his brother. This strange tale eventually reaches its climax in a gold-bearing river in California before it lands with a sardonic last gasp at the headquarters of the Commodore and then the place where you would least likely expect the movie to end. The result is an eccentric Western, no question, filled with laughter, brutality and a sense of wonder. Audiences brought up on Western stereotypes may struggle to adjust to its unusual pathways, but those willing to adjust their expectations and go with the Audiard flow will get their reward. Aside from the fickle characters, there’s also a vivid sense of a world changing, in which a new American civilisation is being created out of the wild frontier as the principals meander their way south from Oregon along the West Coast to California.